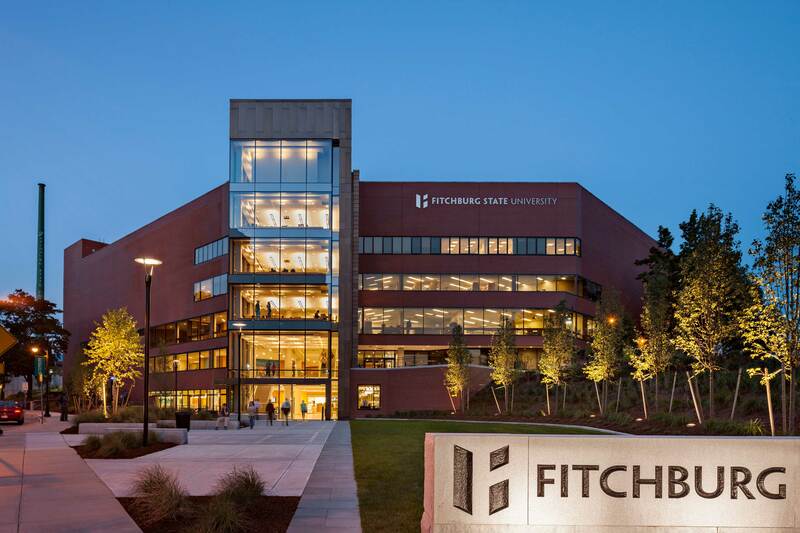 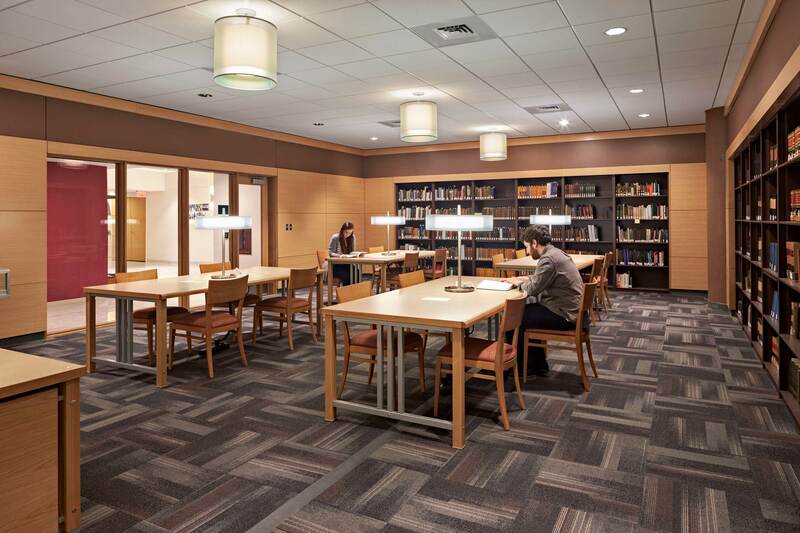 Fitchburg State University not only gained a new entrance icon to their campus through this five-phase renovation project, but a completely transformed community center that helps students live, study, learn and play. 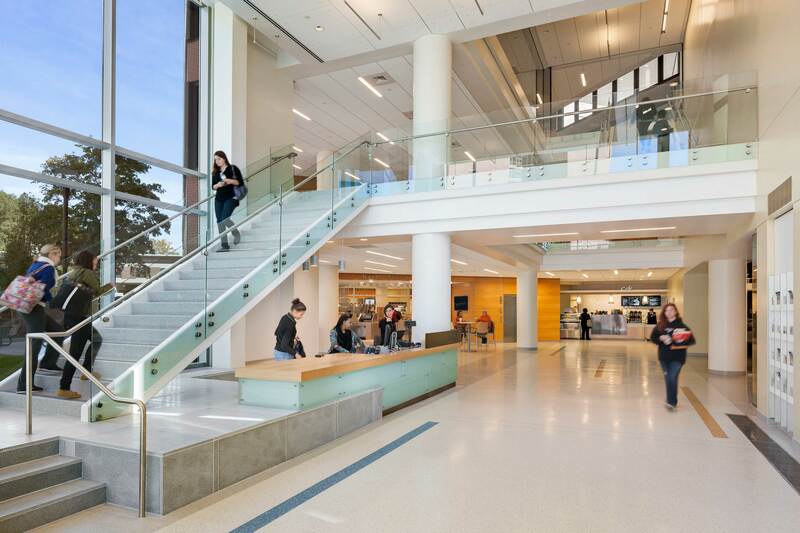 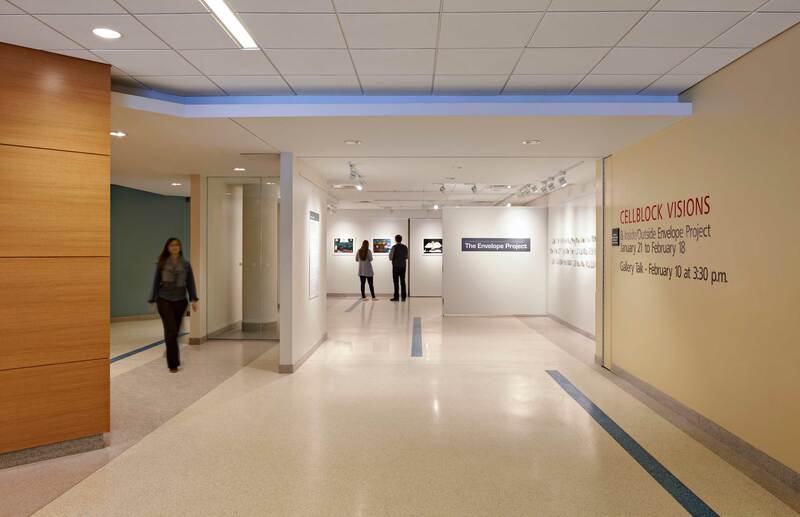 Phase 1 created a central circulation atrium connecting the upper level quadrangle with the entrance two floors below. 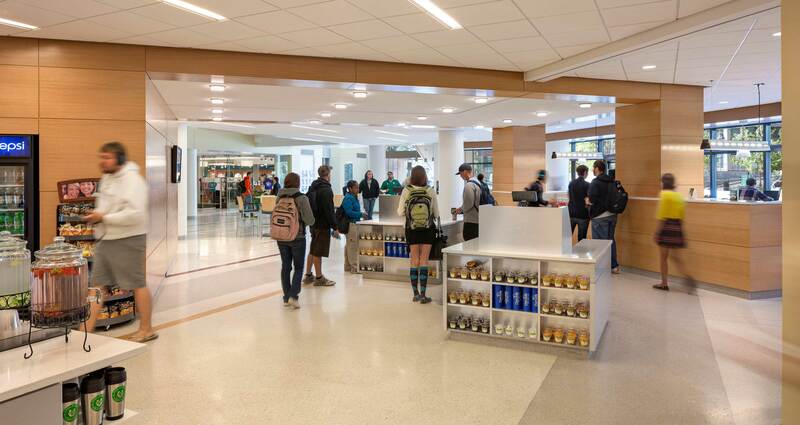 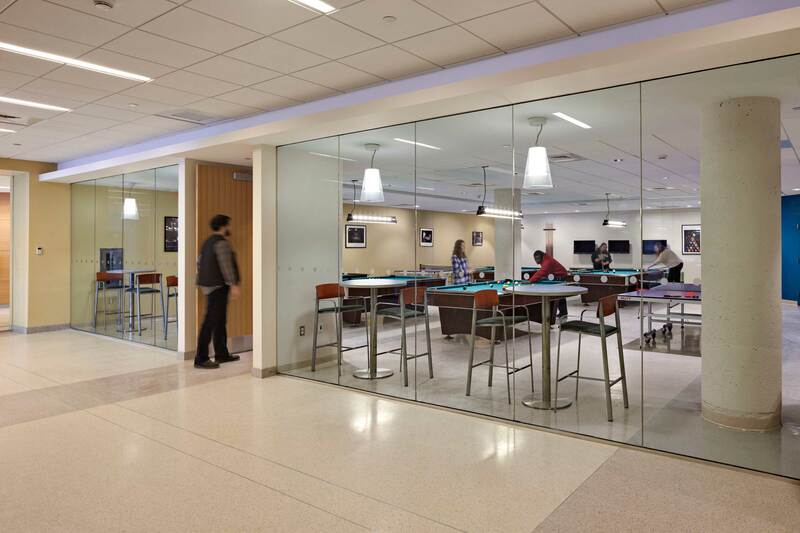 The new “Student Avenue” showcases the bookstore, server, student pub, game room, art gallery, student government / campus center offices, library and event space. 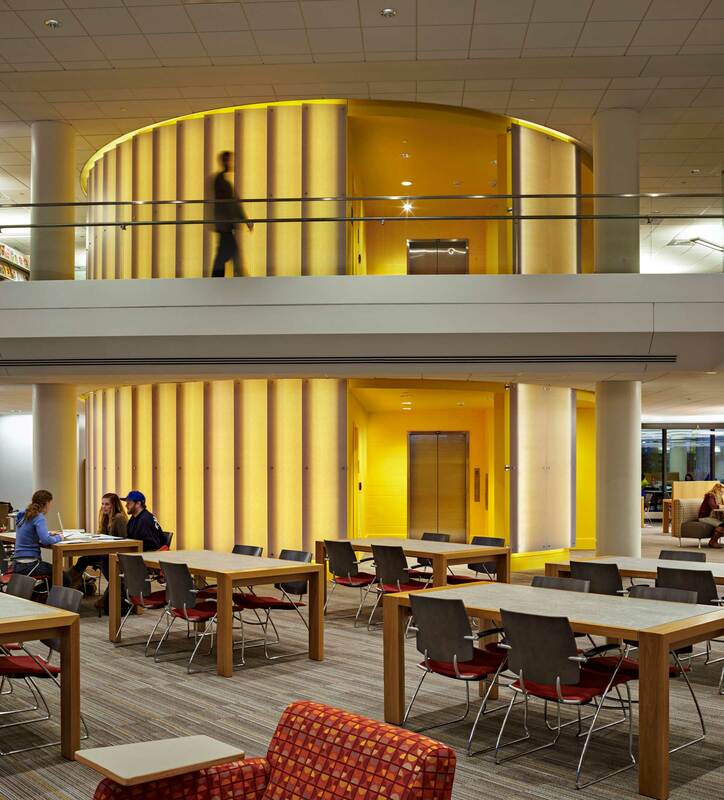 With student spaces and study lounges located adjacent to the new atrium, a “see and be seen” environment infuses new life into the existing structure. 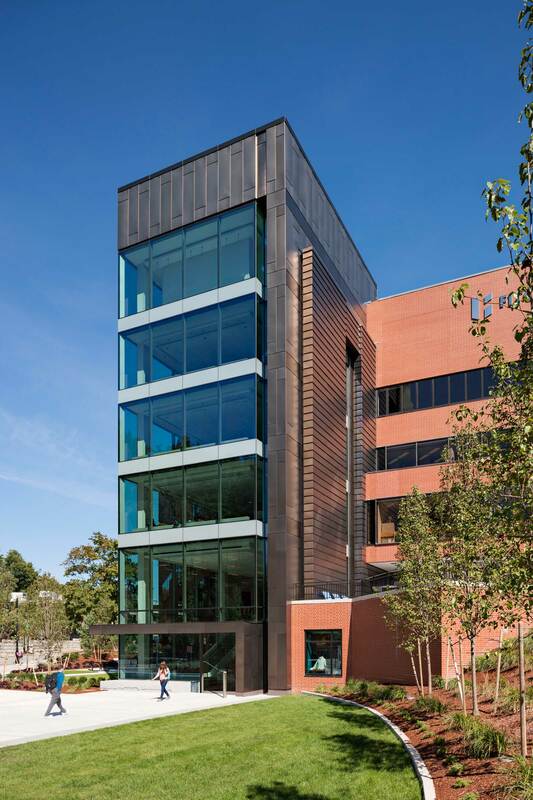 An iconic glass tower added to the North Street elevation transforms the existing masonry wall into a dynamic point of entry that faces the town. 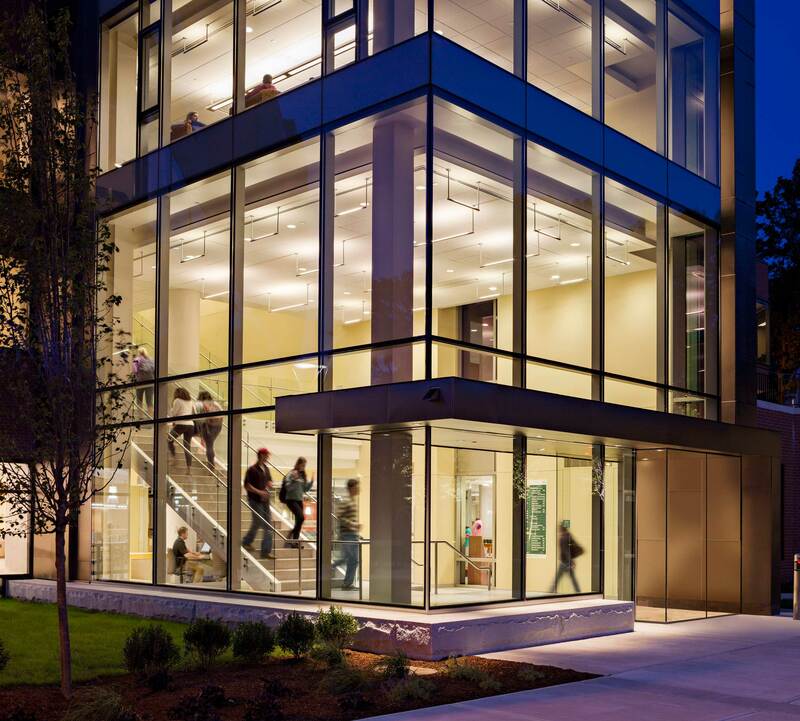 Phases 2, 3 and 4 included the renovation of building systems, a new radio station, and additional student-life space. 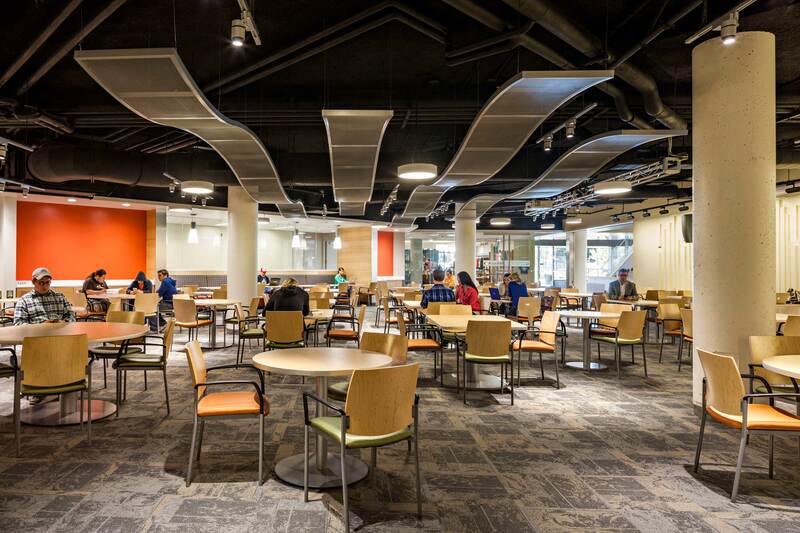 Phase 5 consisted of the library, student support office and the exterior quadrangle plaza.